We’re in a business world that’s evolving faster than ever. It’s never been this easy to launch a business and propel your brand to new heights, almost overnight, thanks to the Internet. For example, two pals videotape themselves performing some crazy stunt, it goes viral and within days they’re a YouTube sensation. Or a small florist promotes her knowledge of flowers through social media and ends up doubling her sales in less than a year. The web is like the wild-wild-west with its non-existing boarders, and where there’s always the risk of damaging your brand if you don’t have a plan. However, there’s also risk in inaction, or simply sitting on the sidelines, thinking you can do business the old way, experts warn. 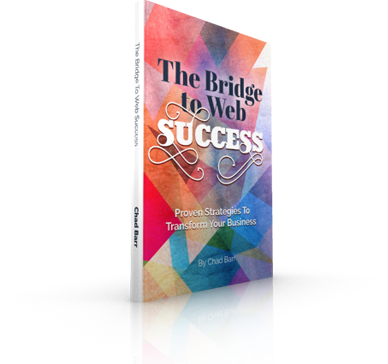 In “Million Dollar Web Presence,” Barr provides success strategies and practical how-to approaches entrepreneurs can use to leverage the Web to achieve their business dreams online. Barr co-wrote “Million Dollar Web Presence” with Alan Weiss, a management and organizational development consultant from Ohio. 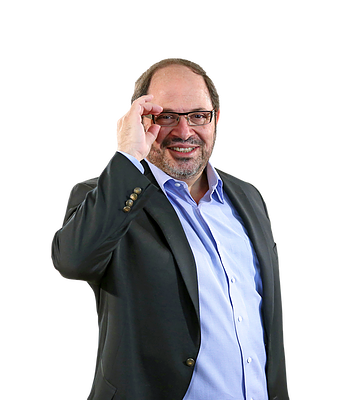 Barr is president of The Chad Barr Group, an Internet consulting firm and also leads CB Software Systems Inc., both in Shaker Heights, Ohio. Barr urges entrepreneurs that want to succeed to promote themselves shamelessly on the web. The Internet has made it easier for people to promote their businesses inexpensively, while enabling them to grow practically overnight. Nevertheless, many small businesses and entrepreneurs don’t even scratch the surface of the tools and resources available on the web to help them reach new audiences and potential customers. Those who are doing so, are diving into blogs, online videos, podcasts, E-books and online workshops and webinars. You need to develop a “wow factor” that attracts people to your website and keeps them coming back. “You want to impress your visitors with a website that says you’re a world-class act,” says Barr. “Whether you’re an architect, technical developer or the owner of a flower shop, you want to make the entry point to your website or any platforms that showcase your expertise, to come across as professional as possible. Create remarkable, provocative content that portrays you as a leader and expert in your industry. “One of the things I like to share with people, rather than think about creating a website, think about creating the ultimate repository of remarkable, provocative content that manifests itself in articles, videos, webinars, podcasts, etc., a body of work that represents a vast amount of knowledge of your showcasing,” he said. Avoid stagnation. Make sure you’re continually offering fresh, new content that intrigues visitors to return to your web pages. If you’re not so lucky to have been born with marketing wisdom, read books that can help you gain knowledge and solicit help from the best people in your network. “Focus on your key expertise, learn some new thing and bring in the best to help you get to the next level of success,” said Barr. Keep in mind, that there’s no silver bullet approach, it takes hard work, focus, and innovation to build a strong community of supporters and quality clients that can help accelerate your company’s success. Let us hear from you. What are some strategies you have employed to achieve your business dreams on the web?